← How to set color depth and convert PDF to PNG? 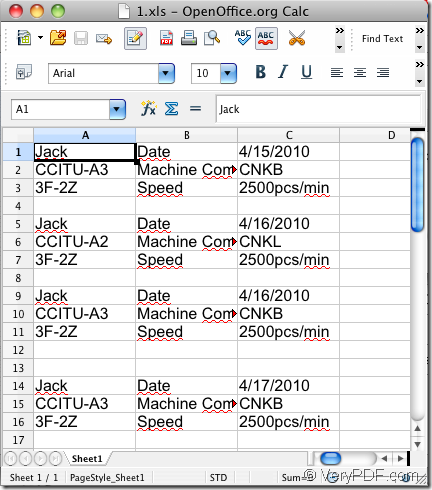 Do you need to convert pdf to csv on your Mac OS system? If so do you know which kind of application that you can take as your tool? The application to be introduced in this article will be a good solution to this kind of problem. 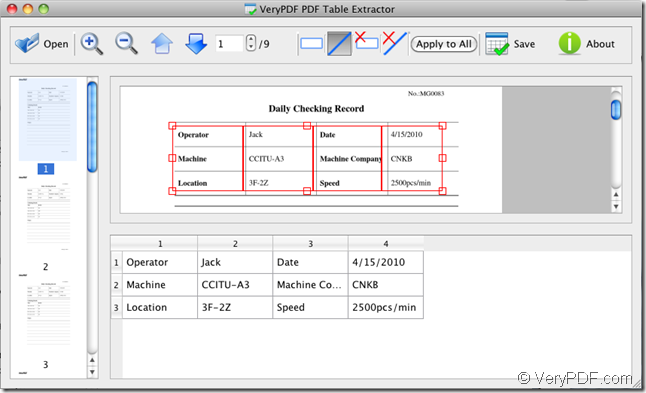 In the following contents, you will see how to use the application VeryPDF PDF Table Extractor for Mac. Please click here to download the application to your computer and double click the installer to install it on your computer by following the setup wizard. To open PDF Table Extractor, please double click the application icon and you will see the main interface like the one shown in Figure 1. Please click Open button to open file picker window in which you can choose PDF file that you want to convert. The successfully added PDF document can be previewed on the preview panel on the left of application interface with all pages. When you click any page, it will be displayed on the right and you can choose to zoom in or out the currently shown page. Now you can start to convert pdf to csv. Please click the button and drag your mouse to draw a rectangle to select the area that you want to convert to csv format file. You can also change the size and location of the drawn rectangle. The data framed by the rectangle will be shown in a table with only one column in the bottom panel. To add the table columns, please click the button and draw vertical lines in the rectangle and the columns will be added in the table below. If you want to convert the current page of pdf to csv file, please directly click the button Save to open the window like the one shown in Figure 2. Please input the name in Save as box, choose the output location in Where spin box, select the target file format as CSV File (*.csv) in File of type spin box. Then please click Save button. If you want to save all pages of pdf to csv file with the same way, please click Apply to All button at first and then click Save button to save the target file. When the conversion is over, the popup window will remind you whether to open the target file. You can click OK button to view the target file at once. Please see the created csv file in Figure 3. You can click here to enter the homepage of PDF Table Extractor for Mac and if you have any other questions about this application, please contact our support team. How to convert TIFF to Word on Mac and Windows PC? How to convert image to PDF under Mac system by GUI version? How to compress image PDF and set password to protect it under Mac system? 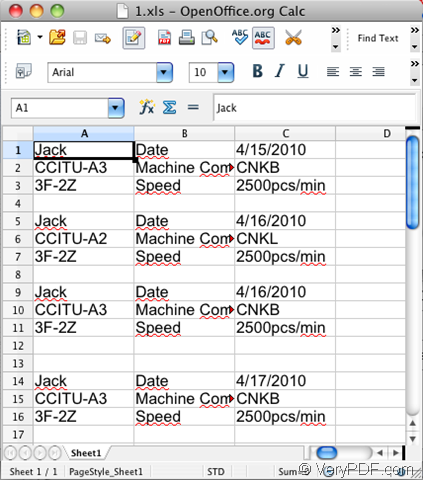 This entry was posted in Software for Mac and tagged Mac OS, pdf to csv. Bookmark the permalink.